Restore Heavy-Duty Acid Tile and Grout Cleaner can be used instead of Muriatic acid in most traditional applications including hard surface etching and cleaning, dissolving water insoluble salts including calcium carbonate, soap scum residues. Formulated with advanced cleaning technology that breaks down even the toughest stains. 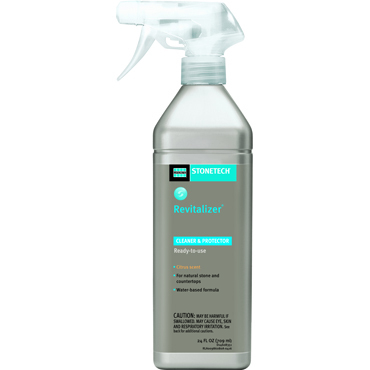 Removes grout residue and haze. 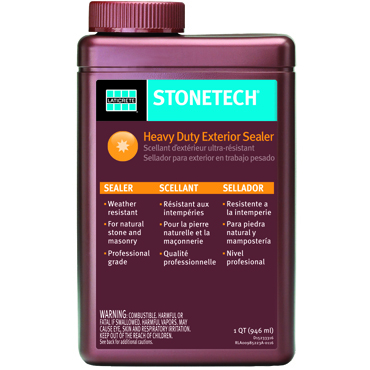 Ideal for use for in tile showers, unless marble, limestone or other acid-sensitive stone. Restore is a professional grade acidic cleaner that will keep tile showers looking new. 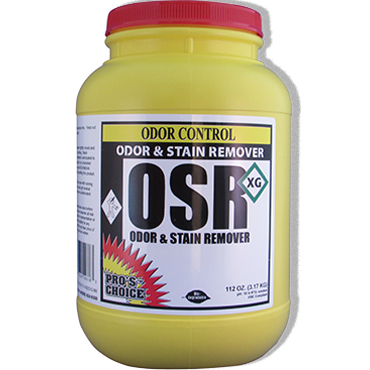 Breaks down even the toughest mineral-based stains and deposits. Use on porcelain and glass. WILL ETCH MARBLE, TRAVERTINE, LIMESTONE and other acid-sensitive surfaces. May not be shipped by air! Restore Heavy-Duty Acid Tile and Grout Cleaner is a highly concentrated, heavy duty acidic restoration cleaner that makes ceramic tile and grout look like new. Restore Heavy-Duty Acid Tile and Grout Cleaner removes soap scum, hard water deposits, grout haze and efflorescence. Restore Heavy-Duty Acid Tile and Grout Cleaner can be used instead of Muriatic acid in most traditional applications including hard surface etching and cleaning, dissolving water insoluble salts including calcium carbonate, soap scum residues, efflorescence and other insolubles or calcium carbonate minerals and for cleaning or preparing hard surface masonry of all types of tile, grout, stonework and concrete. 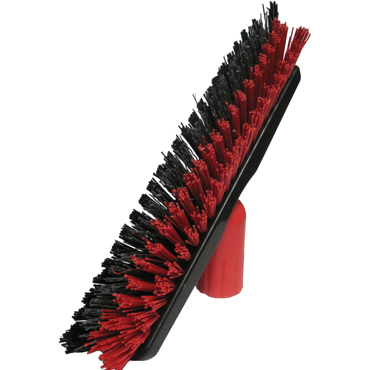 For cleaning of ceramic tile, grout and masonry. Restrictions on Use: Professional Use Only. Keep out of reach of children. Restore Heavy-Duty Acid Tile and Grout Cleaner cannot be shipped by air because of its Acidic pH. Use pH: <1 to 2.8. Use Concentration: 8 - 64 ounces per gallon. Coverage: Approximately 2,000 to 8,000 sq. ft. per gallon depending on stone, porosity, texture of surface and method of application. 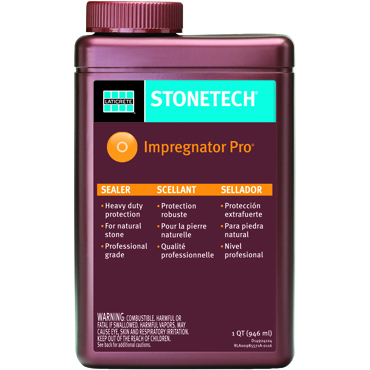 Manufacturer: StoneTech® / Laticrete® International. NOTE: Restore Heavy-Duty Acid Tile and Grout Cleaner cannot be shipped by air because of its Acidic pH. WARNING: Restore Heavy-Duty Acid Tile and Grout Cleaner WILL ETCH MARBLE, TRAVERTINE, LIMESTONE and other acid-sensitive surfaces. Will not etch or corrode MOST metal surfaces, but use with caution around metals and tape off all metals that may be contacted with Restore. Do not empty into your customer’s stainless steel sink! NOTE: If your customer’s floor is acid-sensitive, do not use Restore Tile and Grout Cleaner to clean and brighten the grout; instead, simply apply OSR (very hot), scrub and rinse after 1/2 hour. Test Restore Tile and Grout Cleaner in a small inconspicuous area to determine the effectiveness and desired results. Heavy duty mixture may darken some surfaces. Restore will etch most marble, travertine and limestone. Read entire label and Safety Data Sheet before using. Use only as directed. 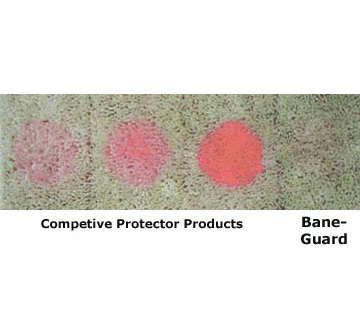 Make sure there are no topical waxes or sealers on surface. Dilute with warm water only. Mask off and protect any baseboards or adjacent areas or metal surfaces and appliances to avoid splashing, dripping and overspray onto surfaces not intended to be cleaned. For heavily soiled grout, clean first with Klenz-All™ mixed with OSR or add the OSR separately. Apply mixed solution with a sprayer, scrub brush, clean mop towel or sponge. Do not spray Restore - aerosolized acidic particles will be irritating and may get onto surfaces that can be damaged. Scrub with a scrub brush, grout cleaning brush or floor machine as needed. Thoroughly rinse all metal surfaces with clean water. 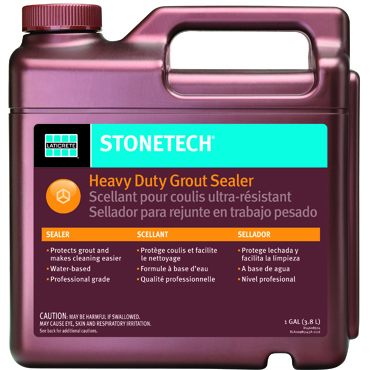 To prevent future staining of grout, after complete drying, seal the grout with StoneTech Professional All Purpose Grout Sealer or Sta-Clene®. 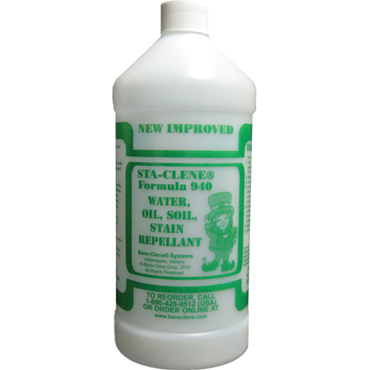 Heavy-duty cleaning: Mix 64 ounces per gallon of warm water (1:1). pH less than 1. 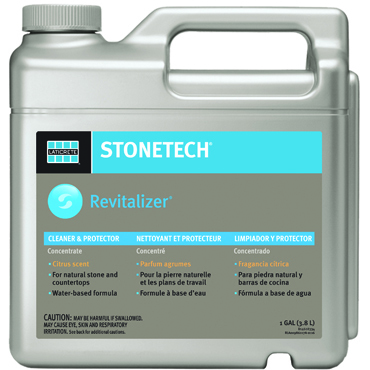 Routine Cleaning: Use StoneTech Revitalizer™. 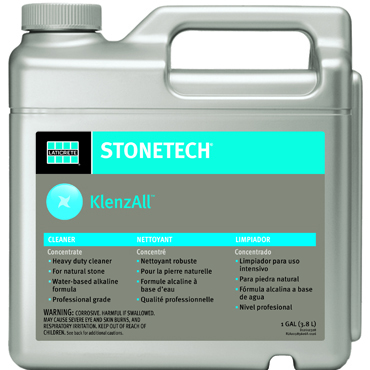 Heavy Duty Cleaning: Pre-clean with StoneTech Klenz-All™. “Porcelain Tile: Cleaning, Maintenance, Protection and Sealing”. VIDEO: How to Clean Natural Stone, Marble, Granite, etc. How to use the StoneTech Professional products to safely and effectively clean all natural stone surfaces including marble, granite, limestone, travertine, slate, etc.